Liza is a homemaker and full-time blogger who enjoys cooking at home. 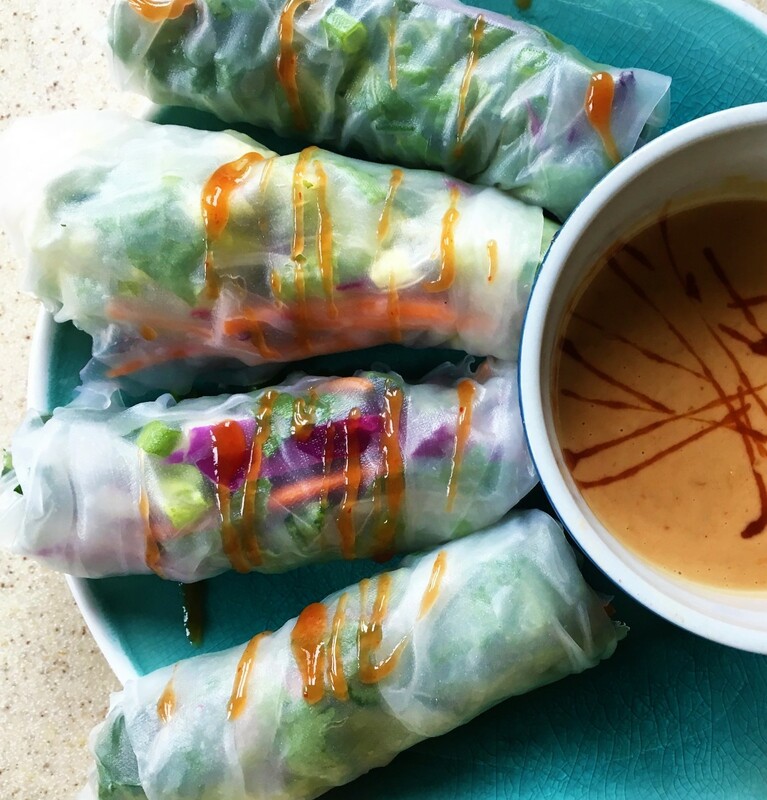 The homemade peanut sauce is wonderfully satisfying. Chicken satay, beef satay, and nasi impit served with the peanut sauce. 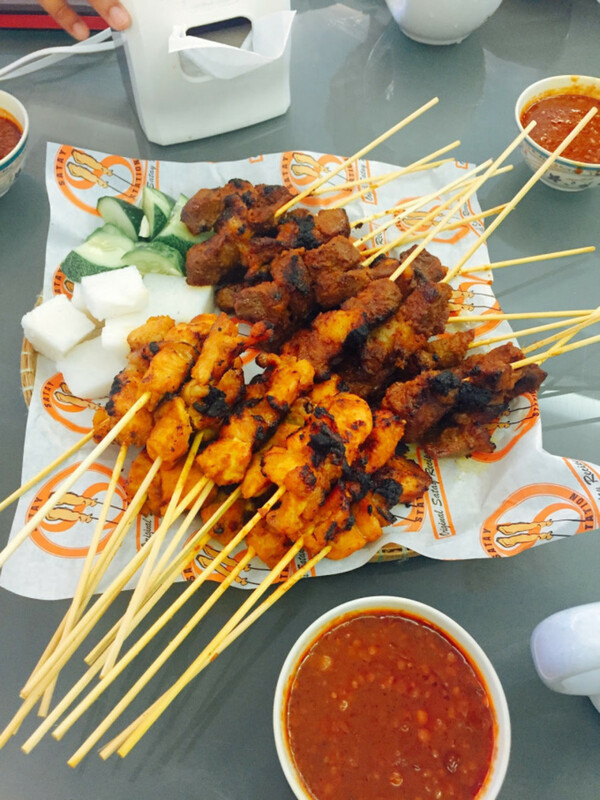 In Malaysia, everybody knows that chicken satay or beef satay will be served with kuah kacang (peanut sauce), nasi impit (compressed rice), and fresh slices of cucumber and onions. 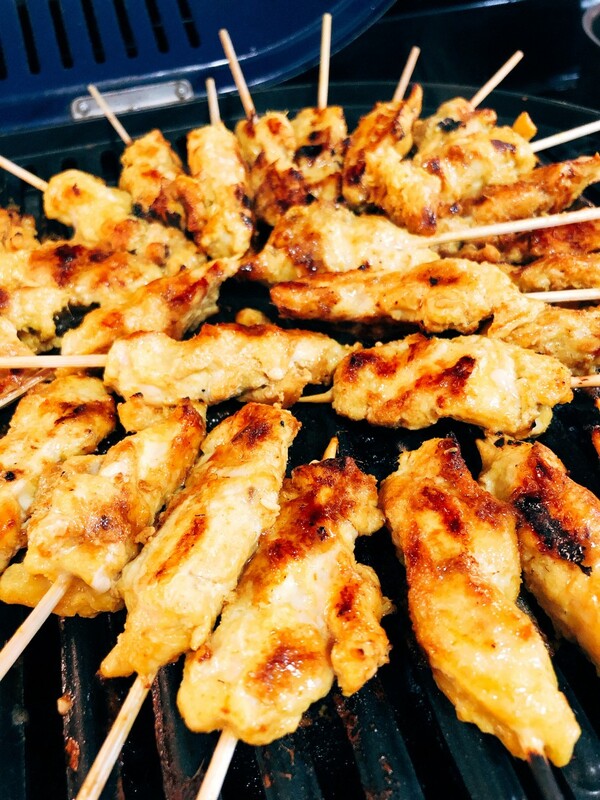 I love the sweet and spicy flavor of the chicken satay, which comes from the lemongrass, cumin, galangal, fresh turmeric, onions, and garlic. It requires a significant amount of time to prepare chicken satay. However, the star of this dish, in my opinion, is the peanut sauce. Without the peanut sauce, the chicken satay just wouldn't be complete. Peanut sauce is a traditional dipping sauce in Malaysia. 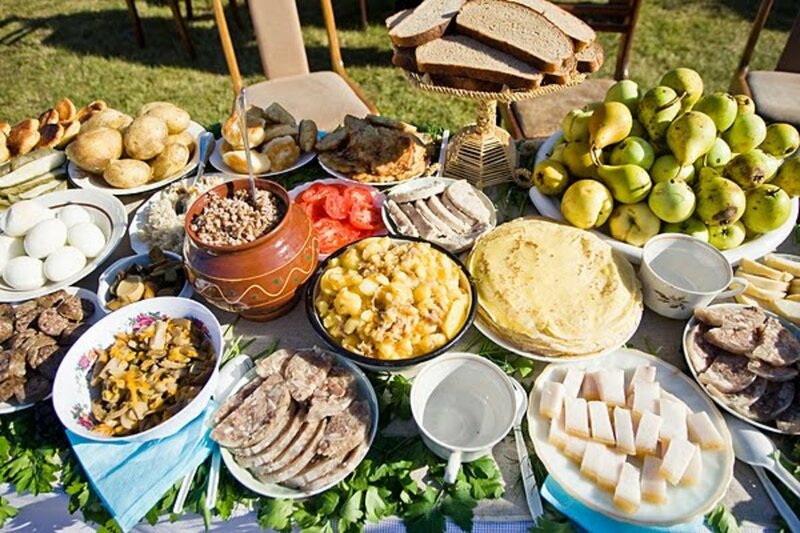 It is usually served during the Eid Festival with chicken satay, beef satay, nasi impit, lontong, (a dish made of compressed rice cake in the form of a cylinder wrapped inside a banana leaf), and much more. After I moved to the United States, I thought that I'd miss making some of my favorite Malaysian dishes. Some of the Malay meals I love require ingredients that are not available at the regular grocery stores around here. Well, it turns out I just wasn't looking hard enough. Once I found an Asian market near my house, all of my worries disappeared. 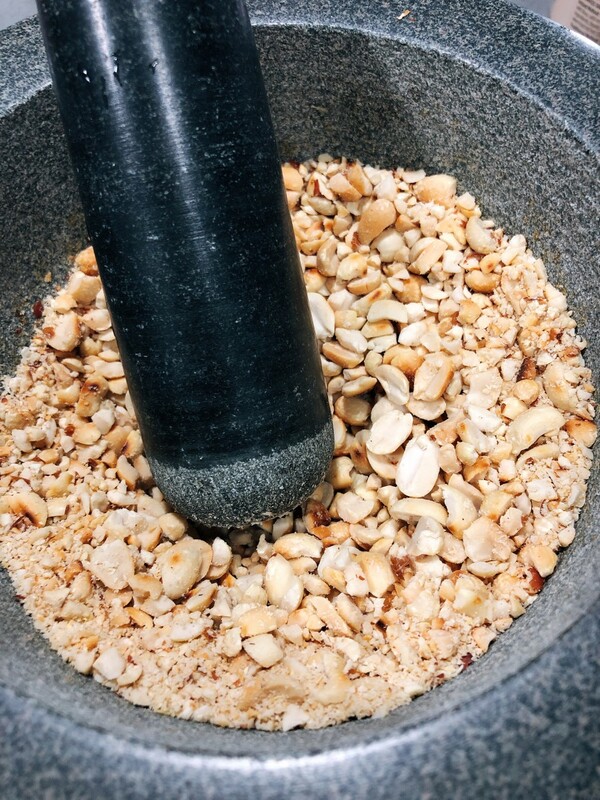 To make the peanut sauce, one of the main tools that I use is a mortar and pestle. Growing up in a traditional Malay family, I watched my mother using this tool almost every day whilst she was cooking in the kitchen. 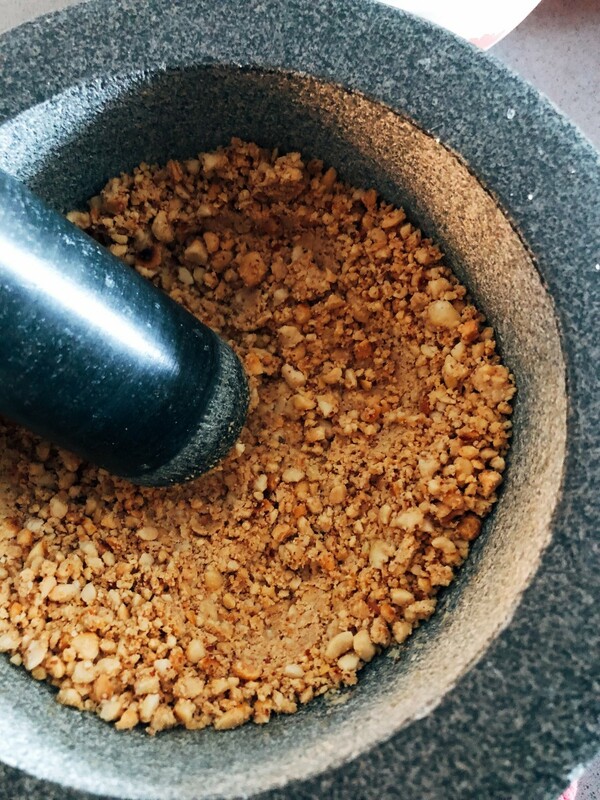 In Malay cooking, we use a lot of natural spices that require crushing or grinding in order to produce the authentic taste. 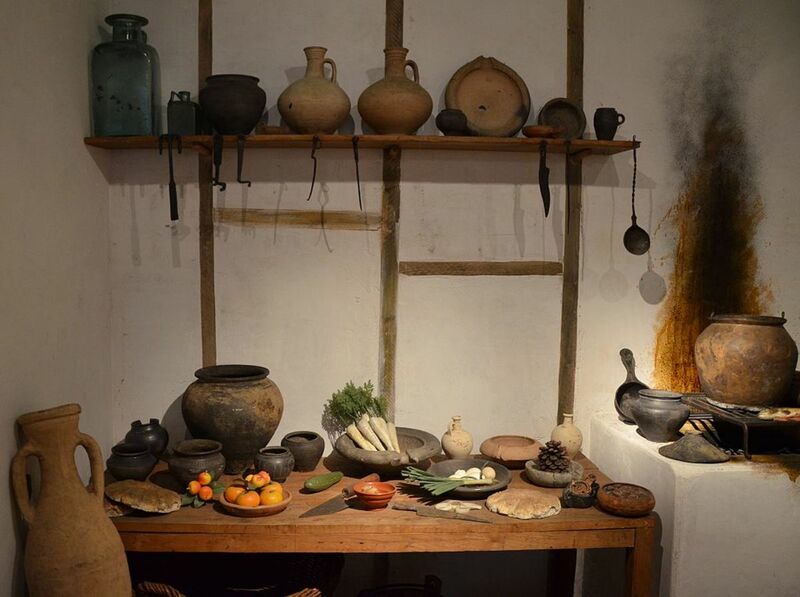 My family could never afford to buy a blender or food processor, so the mortar and pestle was the device we used. Nowadays, I like to use it for the authentic flavor it produces—and to honor my heritage. However, you are welcome to use a food processor or blender, if you prefer. Let's take a look at the full ingredients. 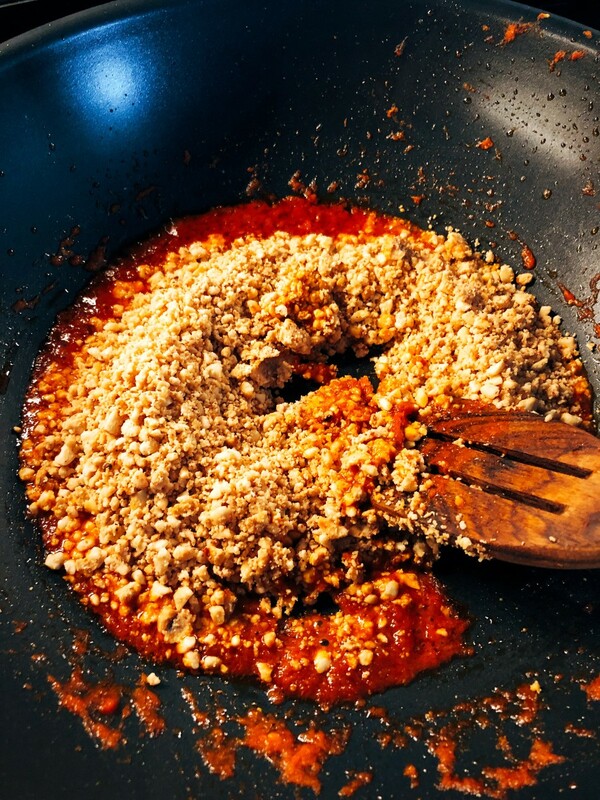 Prepare the paste: Combine the dried chilies, ginger, shallots, galangal, garlic, red onion, and shrimp paste in the mortar. Pound the ingredients until it makes a thick paste. Transfer the paste into a bowl and set aside. (Use a blender if this technique is tricky for you; just add some water). 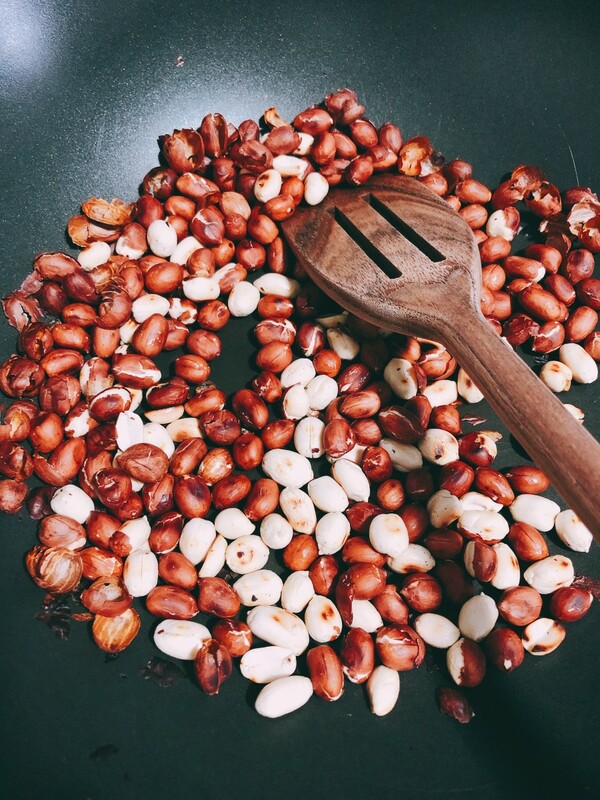 Prepare the peanuts: Fry the peanuts (without oil) in a pan over medium heat until lightly browned. Transfer the peanuts into a bowl and make sure to peel out the skin before pounding. 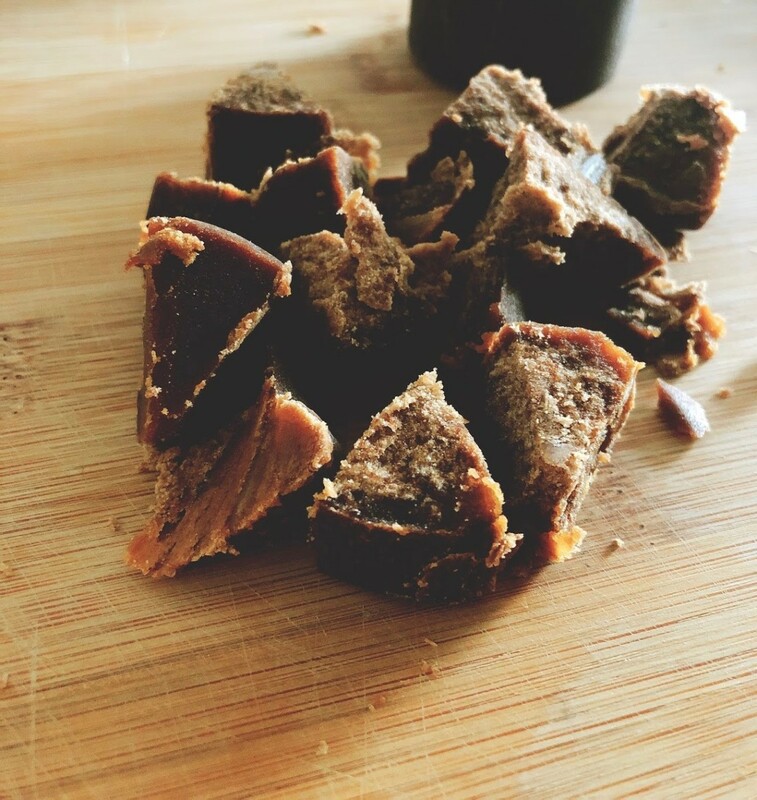 Pound the peanuts to form a chunky paste. Transfer into a bowl. Heat the oil in a pan over medium heat. Fry the paste until it is fragrant. Add water, lemongrass, and let it simmer for 10 minutes. Throw in the ground peanuts into the pan followed by the tamarind paste, salt, palm sugar, and white sugar. (Adjust the taste as you prefer by adding more salt or sugar). 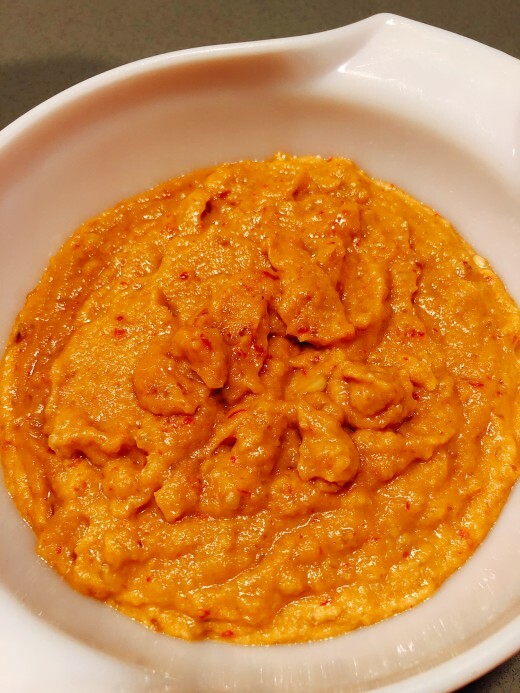 The peanut sauce should be cooked when the paste thickens. 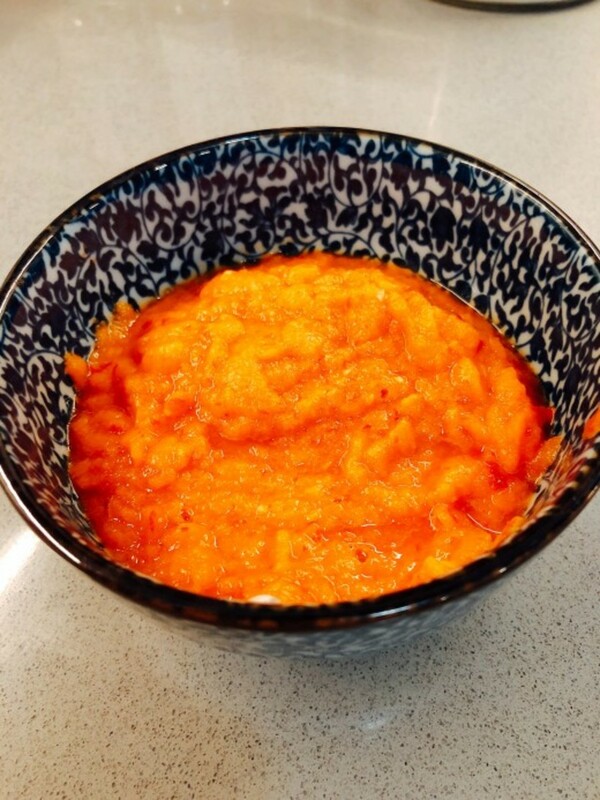 Transfer the sauce into a bowl before serving. Serve peanut sauce with chicken or beef satay with nasi impit, sliced cucumber, and shallots on the side. 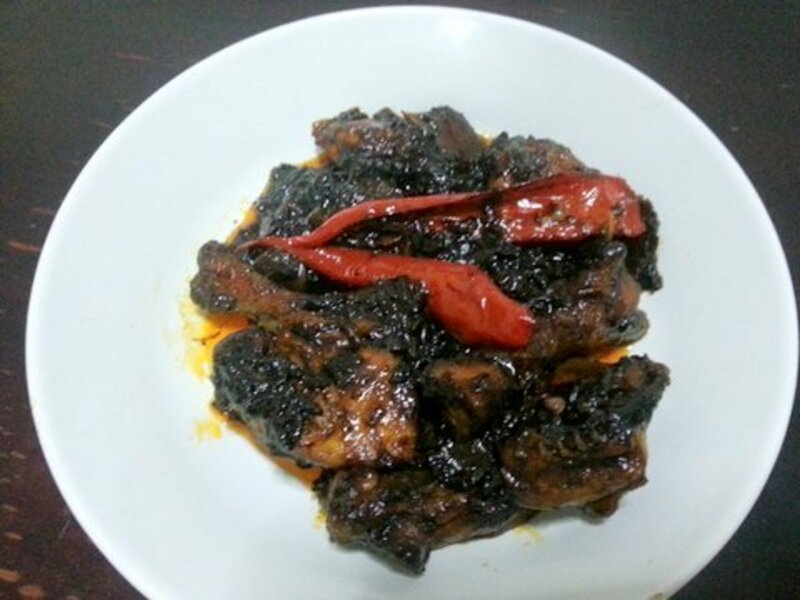 The sauce can be stored in a sealed container in the refrigerator for several weeks. I bought a bag of peanuts, but I didn't use it all. 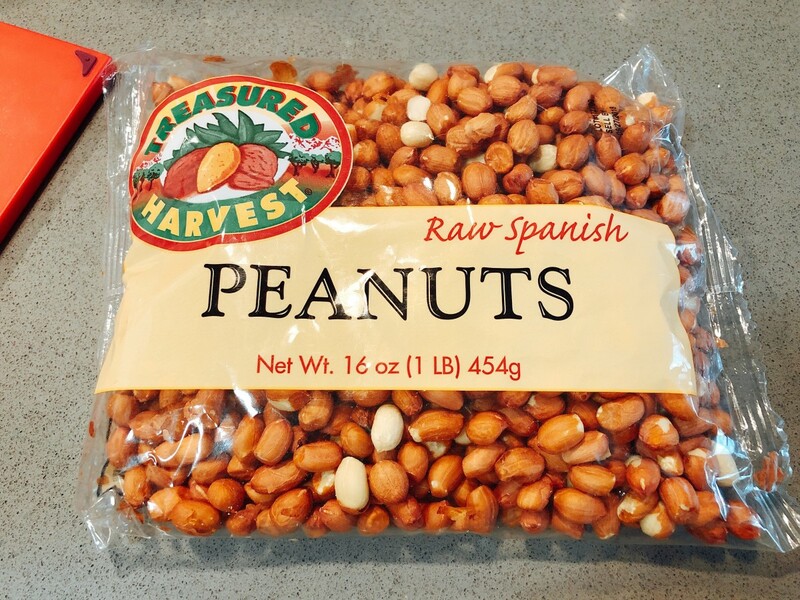 Save the remaining peanuts in an airtight container and store at room temperature. 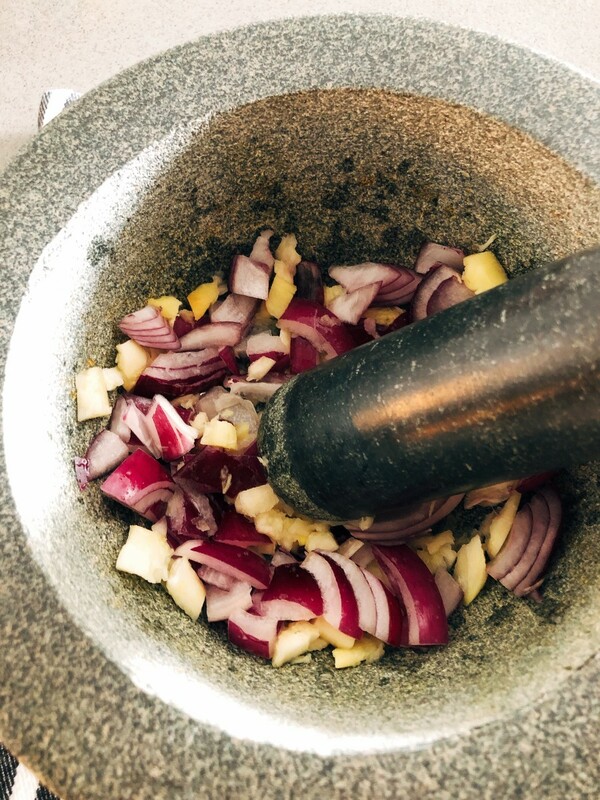 Combine the chopped ingredients in the mortar. Pound it until it forms a paste. 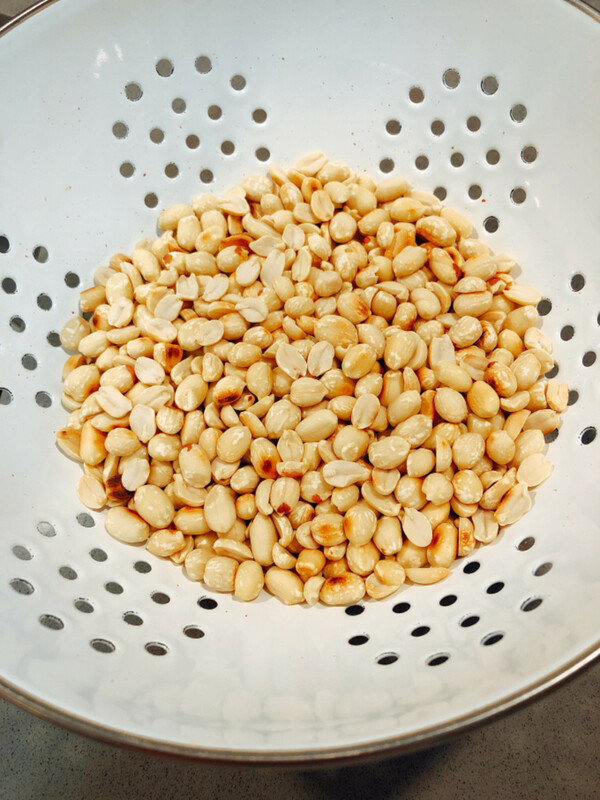 Fry the peanuts until lightly brown. Make sure to peel the skin before pounding. Add the peanuts into the mortar. Pound the peanuts to form a chunky paste. I used palm sugar in the sauce for the sweetness and color. Combine the peanuts into the sauce. The peanut sauce is done. 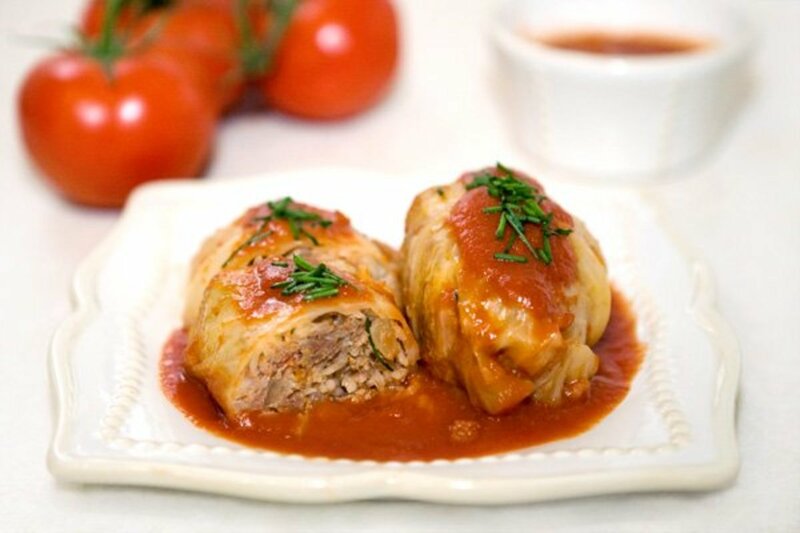 Store the remaining sauce in a container and keep it in the fridge for up to 2 weeks. 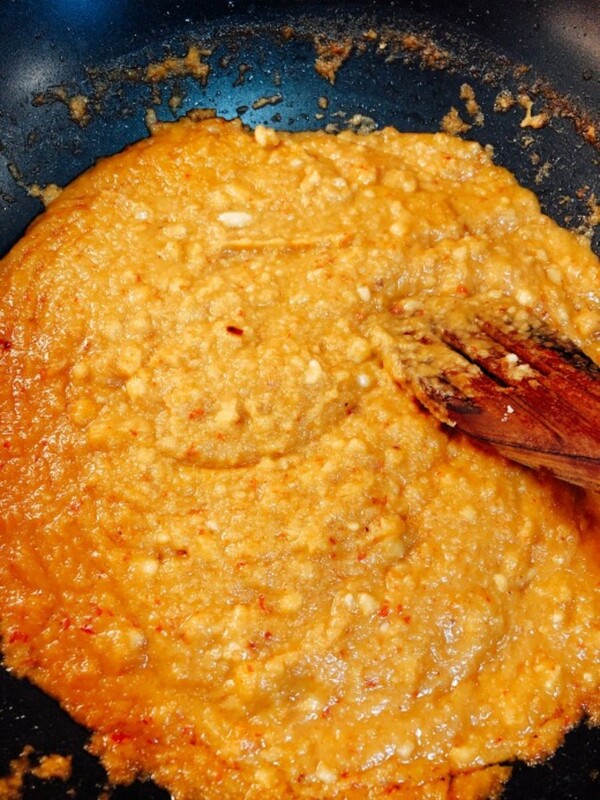 Hi Dredcuan, this is Malay-style peanut sauce that I usually make and serves during Eid festival. I have no knowledge in Europe they serve peanut sauce with the fries. It sounds very interesting. I bet it's delicious! Is this their satay sauce? I really love it. 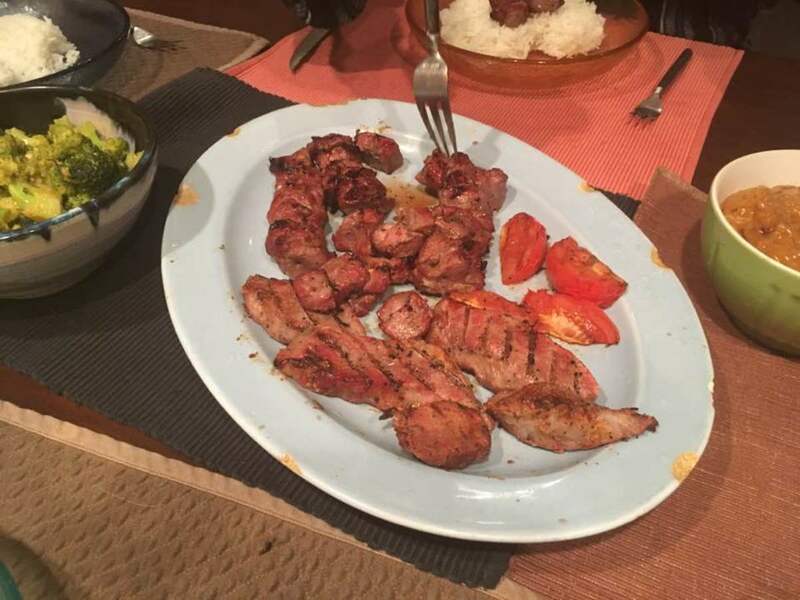 Way back in Europe, even with a simple French fries, they love serving it with peanut sauce. 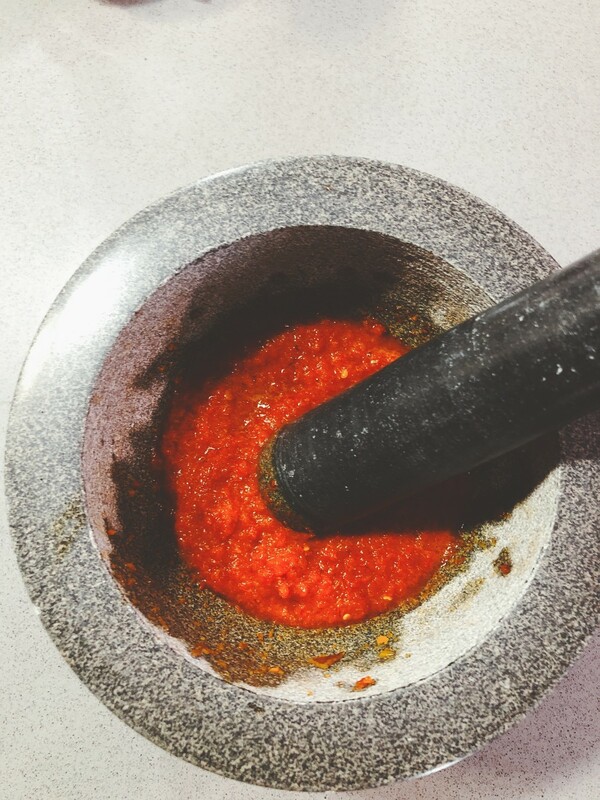 Haha, yea the process of making the peanut sauce takes a while because I have used the mortar and pestle instead of blender. But, it's worth it for the taste! Thanks for your comment, Liz. This looks like hard work, but well worth it for a delicious sauce.